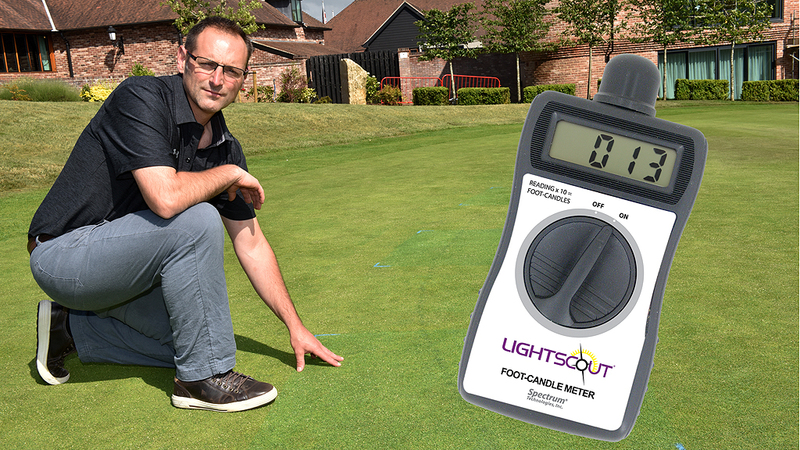 Now that we increasingly have the tools to manage light and plant health more effectively, it becomes ever more important to measure and record light to better target inputs. 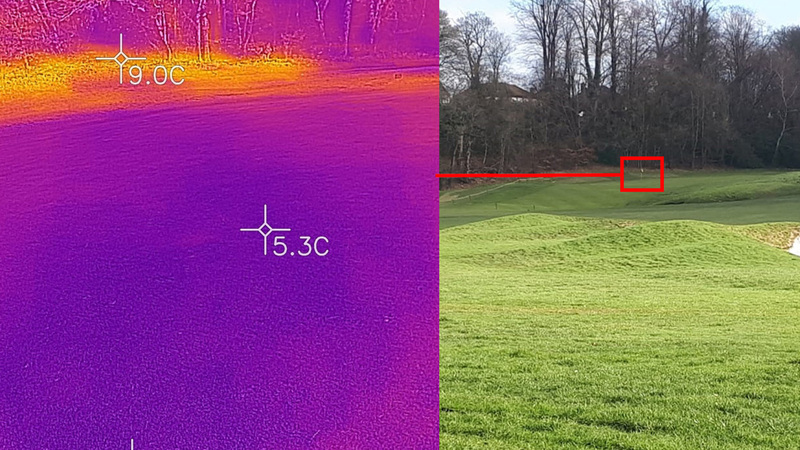 Measuring light during short season days, from late autumn through to early spring, we can now understand the severe restrictions it creates in trying to manage Bent grass in the UK. Short days, low light levels or shaded conditions can be particularly harmful for finer grasses. Poa, on the other hand, is well-adapted to lower light levels. It can function happily in light levels possibly half of that required by bentgrass – which is one of the reasons it can thrive and dominate on shady greens. Furthermore, you need to consider if all the light that is available to the plant can be utilised? We now understand that once light levels exceed around 600-700 micromoles per m2/sec, then the turf plant’s ability to photosynthesise and convert sunlight energy into carbohydrate plateaus. At best the excessive light is wasted, but when coupled with other factors, such as extreme soil temperatures, low soil moisture or low nutrition the additional stress could in fact be extremely damaging. US research, at Arkansas University indicated, Bent grass requires a minimum Daily Light Integral (DLI) of 30 to maintain healthy turf quality. The DLI is a measure of the number of photons of Photosynthetically Active Radiation (PAR) light that falls on a surface over a 24 hour period. However, studies of the daily light fluctuations have shown that, even where the total light measured would indicate sufficient is available, if the plant has been unable to fully utilise the high peaks through the middle of the day, then there could be a serious shortfall of the plant’s requirement (Fig 1). On a bright early spring day turf surfaces in Winchester (above), for example, would appear to get good levels of sunlight and approaching the required 30 DLI. However, when periods of unutilised light intensity above 600, in red, are excluded, the actual useable light DLI is far lower, at less than 20. And with a partially shaded green, intercepting perhaps 40% of light, that would fall to around 10. 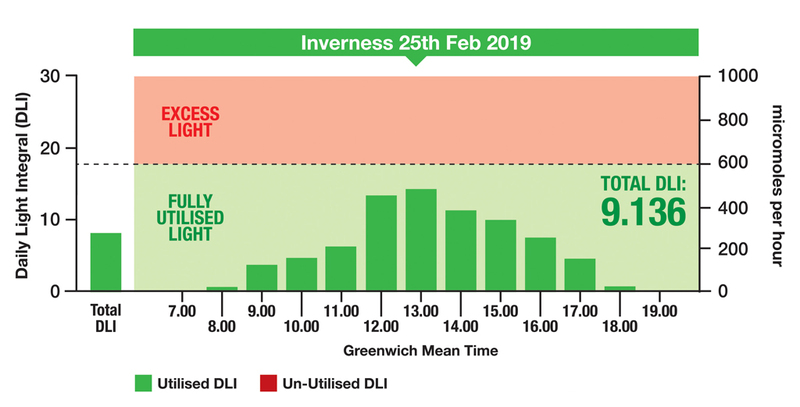 For a course in Inverness on the same day (below), with a DLI of 9, the shortfall in light for fine leaf turf grasses, including bentgrass and fescue, is extreme. Fig 1. 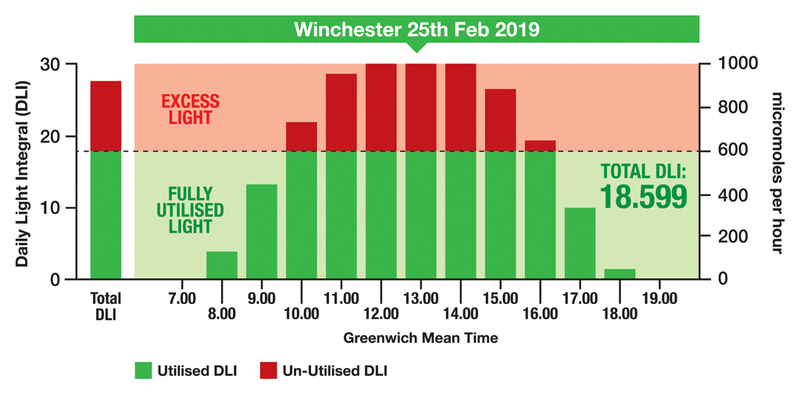 DLI data gives a clear picture of where actions may be required to manage light more effectively and help turf cope with light shortfalls. Furthermore, shady conditions will limit the DLI reaching the turf surface. That emphasises the importance of removing shade from around greens and tees, so that the plant can gain longer exposure to the essential light levels to promote healthy growth. Taking light readings on course has shown intensity can be reduced by as much as 85% as a result of tree shade; dappled shade typically excludes around 40% of light. It also possibly explains why stress indicator symptoms, and disease, often break out at a time when you would expect turf to be growing away from problems; plants needs longer access to the light levels necessary for healthy growth. Removing shade will also help surfaces to dry faster, to alleviate moisture related disease risks. STRI shade trials over the past year have clearly shown that in low light situations, a Primo Maxx II programme helps to produce stronger turf plants that are better able to utilise available light. The implication is that any areas that are frequently low in light, such as shaded tees, would be better able to withstand the stress under a treatment programme. This new UK work suggests that, under a Primo Maxx II programme, the crucial limiting light requirement may be as low as a DLI of 25. When light levels are low day-after-day, that could make a real difference. It is an area of work that requires further investigation, now that we can actually manage turf to better adapt to these situations. From the results we have already seen, in shaded or low light situations there would be a clear benefit in continuing a Primo Maxx II programme right through the winter on tees and fairways, albeit at a lower rate and extended application interval than would be used during better growing conditions. Further work needs to be done to confirm my thoughts that greens would also benefit during the lower light winter months. The physical growth regulatory action of Primo Max II also holds back the vertical extension of leaves in search of light in shady conditions, and encourages stronger lateral density. The chlorophyll concentration in Primo Maxx II treated turf is also higher in the shorter leaf growth, which makes photosynthetic activity from the available light more efficient. Then, as we move into a summer programme with higher light levels that are frequently well in excess of the plant’s requirements, there will be greater need to protect leaves from the excess with a Ryder UV pigment programme – particularly when turf may be under any other stresses that will exacerbate the sunlight effects.